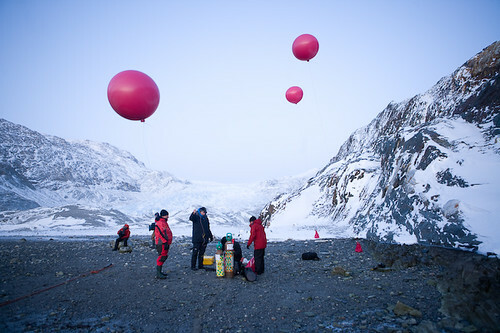 Into the second half of the expedition the focus has moved on from assimilating masses of experience and information about the geography and culture of these parts, to what our own response to climate change might be. 46 is a lot of people to relate to but there are some interesting discussions happening at mealtimes, or in the bar or walks. Some of the musicians, like KT Tunstall, are already very conscious of their carbon footprint, reducing flying to a minimum and following a gold standard offset scheme. We don’t need an outpouring of climate change related songs and artworks; it could be embarrassing. 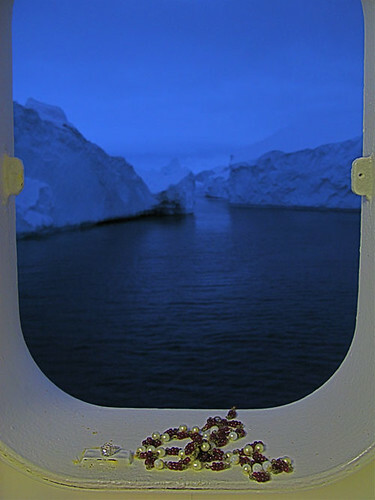 The experience of this voyage is such a visual and sensory feast that its impressions will certainly influence people’s work, though not necessarily as climate change. Works like previous Cape Farewell expeditioner Ian McEwan’s forthcoming novel on climate change will be rare, and that is fine. What many in this crew have is access to a huge global audience that they are able to inspire. They are in a strong position to communicate not only the urgency of the condition we are in but also the huge scope for action that almost everyone in the world has, both collectively and individually. A trip to a glacier edge in small rib boats. At last geology lessons of decades ago make sense. Film and photos can’t begin to capture the scale. Plenty of talk on responsibility and how (and whether) people manage to justify our own ‘climate tour’. I could do with some help from my colleague Stephen (that’s Stephen Peake: for the non OU readers – Stephen is a climate change policy specialist who used to work with the UN’s policy body the UN FCCC). 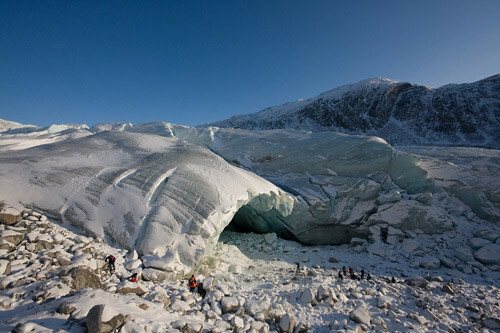 Perdlerfiup Kangerdlua is a remote fjord at about 710 North and two glaciers discharge into its Y shaped end. The smaller of the two has retreated about 2 kilometres recently leaving a beach with a shallow foreshore. 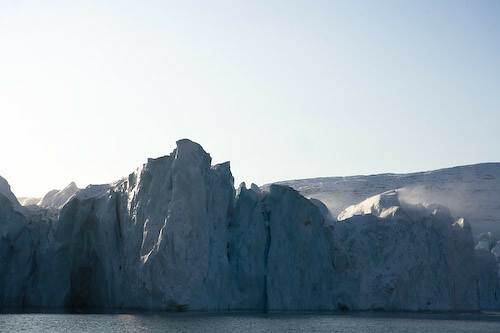 The larger still maintains a 100 metres high 3km wide calving face to the water, beyond which we can see the land based part of the glacier perhaps 500 metes above the fjord. 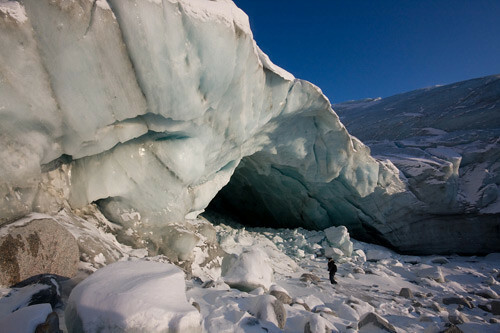 It’s an amazing sight but always at the back of the mind is the possibility that the glacier may calve any second, sending out a very dangerous tsunami. Such an event left 20 people injured on one of the sister ships of the Grigory Mikheev last year and we maintain a respectful distance staying at right angles to the face as far as possible. Today we went ashore and I directed a performance of my 365s: A Search For The Meaning of Life. It was beautiful and energizing to work with so many members of the expedition on a theatre piece. Laurie A was played the part of the “finder” which gave me a special joy. Read about Suzan-Lori Park’s previous day.